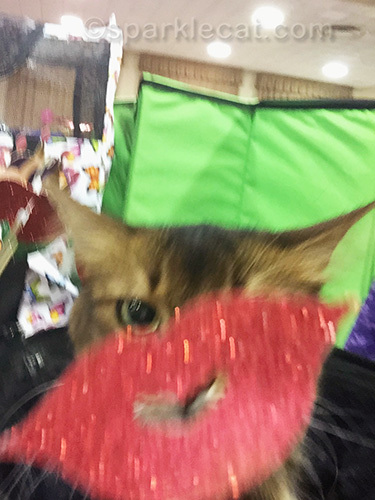 So I was a Pet Me Cat yesterday in Glendale, and I thought it would be easy to do some cat show selfies while I was there. What, putting the iPhone under my head while I was napping isn’t good enough? All right then, I guess I have to get up and take another one. I guess I am ready now… so hand over the iPhone. I think I’ll also use one of those selfie props behind me. Never mind the thumbs, I think I’d need three paws to do this right! I guess I’ll just ditch the selfie prop and take a regular selfie. Let me get this iPhone adjusted just one more time…. Yay, done! Now I can go back to entertaining visitors. Pee S: Sorry mee iss late. LadyMum herted her bad knee twice an had a ‘seizey’ so mee has been ‘on duty’ since last Furiday. Mee NOT ignorin you! 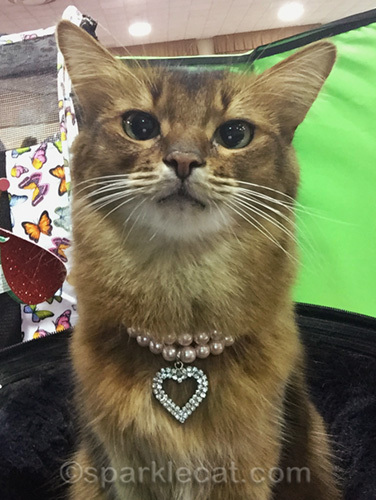 Your pearls are the purrfect touch for the selife! Your selfies are always great, even if they don’t turn out just the way you want. That heart necklace is really glam. No wonder Binga gets jealous. Obviously, it takes a lot of work to be so beautifully captured, Summer! Nice! Mol! You always look lovely. You were definitely ready to get back to work. Even your chin selfies are better than any selfies I take of myself. Summer, Your selfies are always a treat. Purrsonally, I like the first one best–you have a very adorable chin, you know. But I must also remark on the amazing symmetry and purrfect arrangement of your whiskers. Is there some secret method you have for keeping them Just So, or is it a gift of nature?? You’re always so photogenic! I especially like the one where your making “owl ears”… We call that can”weird ears” here when we hear something suspicious. Keep spreading your daily joy girlfriend! We bet you got lots of pets, Summer. 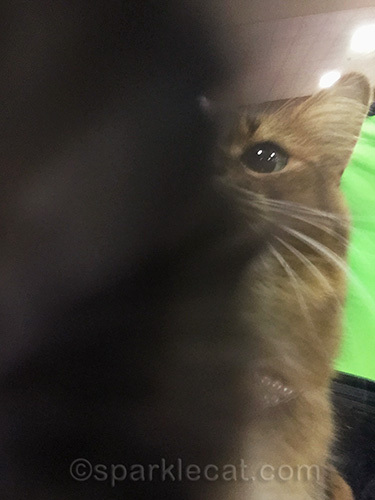 You ALWAYS find a way to do a purrfect selfie!! It’s a lovely selfie, and your bling is gorgeous. 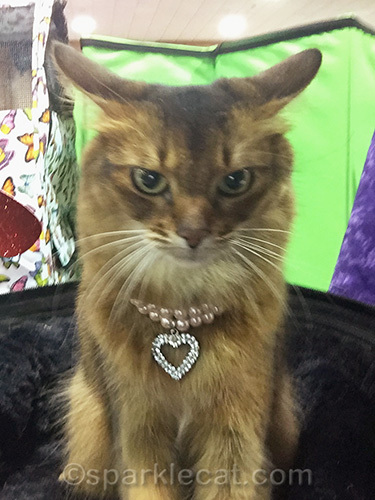 The FIRST picture with you wearing the heart pendant, is an Upset Cat Look! For those of us who have beautiful female cats, when their ears go back, and they look upset, we know that we’re in trouble! Ooo lala we love your diamond necklace Summer and you absolutely glow in it! Beautiful. Love the first and last one. 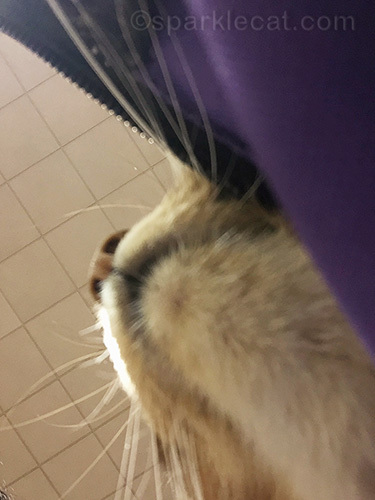 Look at the cute chin! Oh my! And you look fabulous in bling bling necklace! You’re a heart stopper, Summer! Winky winks! 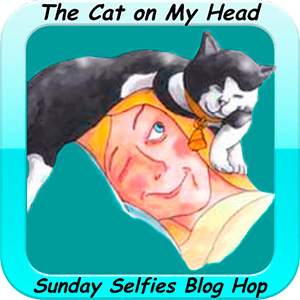 Summer, I love Sunday Selfies with you! You never fail to make Mom smile. A LOT. Summer, you have this selfie thing DOWN! We’re soooo impressed! You look amazing as always, Summer! Such a professional, Summer. Great selfie! Now, go and enjoy entertaining those lucky visitors! That one with the big lips…whoa!!!! Great shot Summer! I love the selfie fails! I make many many of those! And Summer, you had a furry busy week! Mine was exciting! I had Kozmo and Jo Jo to play with! And Play we did! I believe I shall be a little lonely when they go home. PS that heart necklace suits you purrfectly! An iPhone pillow sounds like a good idea to Pierrot. These are all fun, and of course the last came out perfectly! You look absolutely stunning sweet Summer! 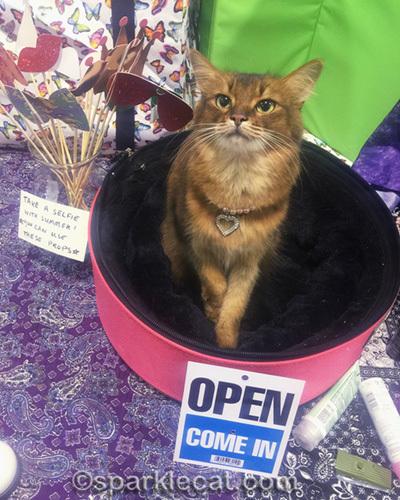 Summer mew’re so purretty with your diamonds and pearls – don’t let Pandora see, as she’ll want some!! !